[PDF] Finn's Thermal Physics, Third Edition | Free eBooks Download - EBOOKEE! 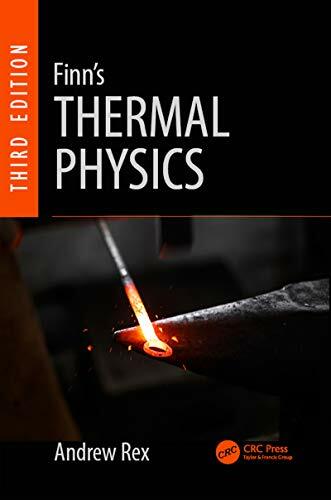 Description: This fully updated and expanded new edition continues to provide the most readable, concise, and easy-to-follow introduction to thermal physics. While maintaining the style of the original work, the book now covers statistical mechanics and incorporates worked examples systematically throughout the text. It also includes more problems and essential updates, such as discussions on superconductivity, magnetism, Bose-Einstein condensation, and climate change. Anyone needing to acquire an intuitive understanding of thermodynamics from first principles will find this third edition indispensable. Andrew Rex is professor of physics at the University of Puget Sound in Tacoma, Washington. He is author of several textbooks and the popular science book, Commonly Asked Questions in Physics. No comments for "[PDF] Finn's Thermal Physics, Third Edition".